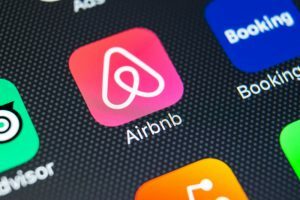 The City of New York brought an action against a tenant and his landlord for leasing out several rooms to tourists in a rent stabilized tenancy on Airbnb on grounds of illegal conversion of premises from residential to transient use (Admin. Code §28-210.3), illegal occupancy (Admin. Code §28-118.3.1-4), unlawful change of use or occupancy and work without a permit (Admin. Code §28-105.1), failure to maintain the Premises in a safe condition in compliance with building codes (Admin. Code §28-301.1), criminal nuisance (New York State Penal Law §240.45(1)), violations of MDL §4.8(a) (prohibiting the use of a Class “A” multiple dwelling for any purpose other than that of a permanent residence) and deceptive trade practices (New York City Consumer Protection Law (“NYCCPL”), located at Admin. Code §20-700). Justice Justice James D’Auguste found sufficient grounds to grant an injunction pending the outcome of the case, finding that the evidence of the ongoing violations justified an injunction. The Court emphasized that the city’s regulations exist to protect against risks such as fire safety since apartments classed for long-term occupation are not provided with sufficient fire safety protections – including fire suppression devices, alarms, and emergency lighting – which would be required in transient residences such as hotels. This, combined with the short-term boarders’ unfamiliarity with the premises, significantly increases the risk of injury in the event of a fire. In addition, the short-term boarders in a residential neighborhood are often an annoyance to locals due to increases in noise, drunken behavior, and instances of drug use. Though municipalities are not subject to the same arduous three-prong test for preliminary injunctions, the Court found that this case would meet the test: it found (1) clear and convincing evidence from inspections and Airbnb advertisements, (2) irreparable injury due to an unremedied public nuisance, and (3) equities in favor of the moving party – here, protection of public health, safety, and welfare. The decision is unremarkable given the weight of the evidence adduced by the city against the defendants. However, the decision explains the existing regulations and the risks they address; it is therefore a useful introduction to the legal requirements and city permits that a prospective Airbnb landlord should be aware of before listing on an Airbnb or other similar platforms in New York City.